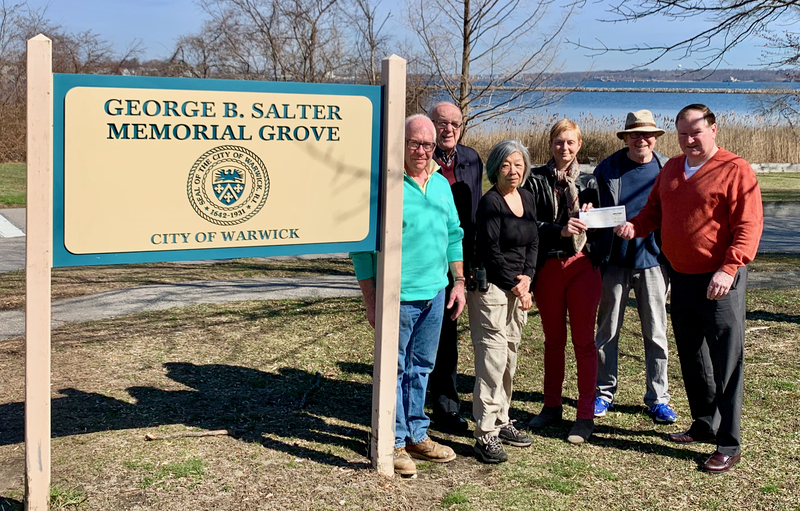 FoSG members Alfred Nazareth III, Richard Furia, Marina Wong, Louise Jakobson, and Peter Becker (L to R) gratefully receive a $1,000 check for a Senate Legislative Grant from Sen. Michael J. McCaffrey. The funds will be used to install safety fencing or playground amenities at Salter Grove. The pictured item is one of the pieces of equipment that had to be omitted from the new playground at Salter Grove to stay within budget. We particularly wanted this Climber for younger children and for its pleasing sculptural design. The cost would be $10,500, including installation. Would you like to make a gift that will keep on giving? For more information, please click here.